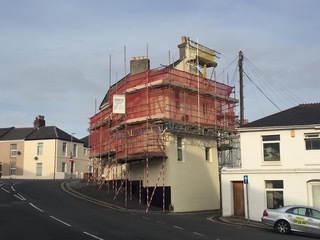 Whether you are refurbishing a commercial property or an industrial building, it is extremely important to have scaffolding installed to perfection. As Drake Scaffolding Services Ltd has over 21 years of experience in the scaffolding business, you can count on us to install the scaffolding you need while following all the mandatory health and safety regulations. At Drake Scaffolding Services Ltd, health and safety are paramount. We fully comprehend the need for following the appropriate health and safety guidelines at all times and are committed to ensuring that we follow them to the letter. To achieve this all of our personnel are equipped with the requisite safety equipment. In addition, we also ensure that our team are all trained to the NASC rules and regulations, so that we comply and follow the right health and safety practices at all times. All of our safe and secure scaffolds come with NASC TG20:13 Compliance Sheets. 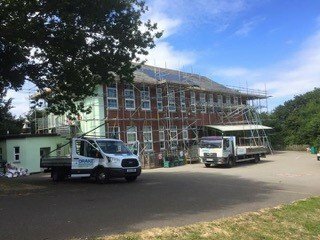 We offer our services to commercial and domestic clients for an extensive range of projects across Plymouth, Exeter and the South West and are committed to providing safe and secure scaffolds. To learn more about how we work and what we can offer you, please get in touch with us today. Have a look at our gallery page to see how complete our projects while following the rules and guidelines.